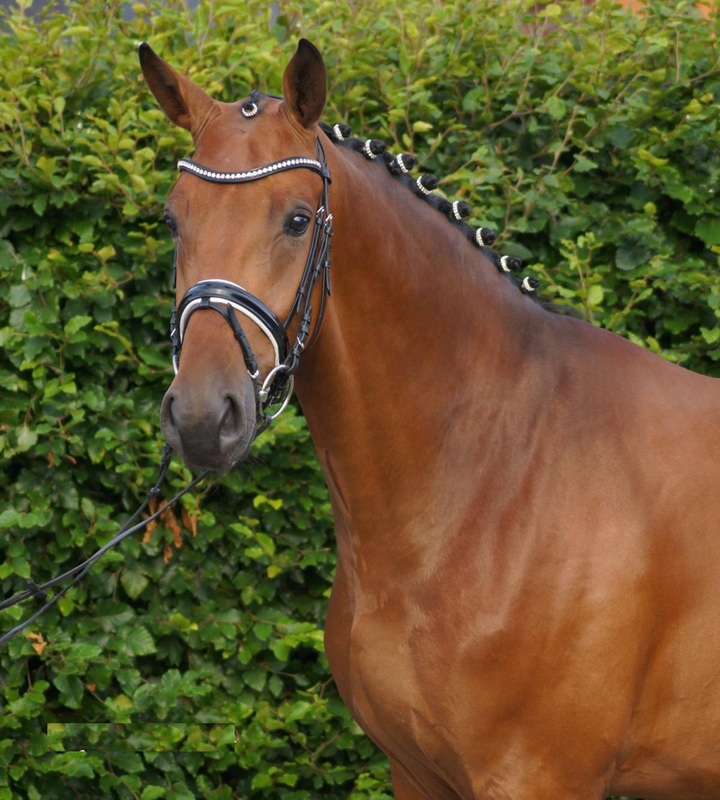 Dolbi is very impressive and is a horse of definite Champion quality, equipped with absolutely phenomenal gaits. He looks so soft and presents himself in such wonderful self-carriage. He impresses with 100% rideability, character and very strong nerves. His stallion type (he is a gelding!!) will mesmerize everybody alike. He is a super fancy mover who knows to impress due to his type, movement and work ethic. He is supple and has a ton of air time. He just floats above the ground. With his free shoulder , he swings nicely through his back. He is light in the bridle and easy to sit. This extremely talented gentleman has definite international potential. This stunning horse has all the looks and the personality a person could ever hope for. He has a super nice head, big stallion neck (hes a gelding! ), if he blinks with his beautiful kind eye, youll fall in love at first sight. He just puts a spell on you. He loves to please his handler and rider, to learn new things is his hobby. He eagerly works under saddle. He is all concentrated on his job in the dressage arena and with his quick, far reaching hind leg, passage and piaffe will come naturally to him. He was ridden inside and outside and doesnt mind heavy farm equipment being driven around him during his work session.